EZ Contractors Insurance is an agency that serves contractors & professionals in the construction industry. 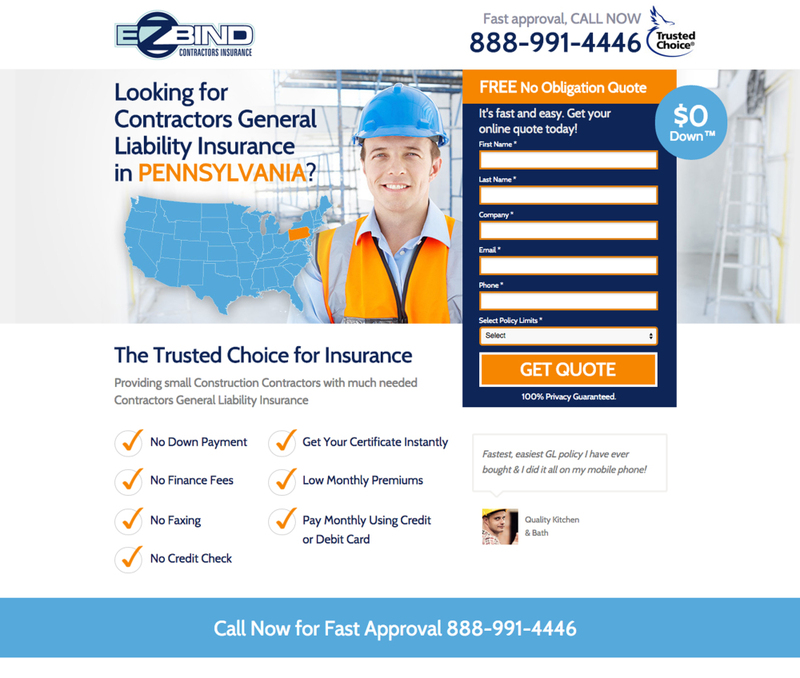 Their lead generation landing page – which is geo-targeted to each state – offers visitors who submit their contact information a service quote for contractors general liability insurance. By A/B testing the page, and creating targeted pages per state, the company was able to generate 6 times as many leads per month.